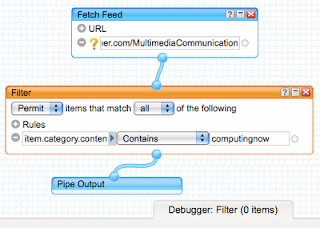 Multimedia Communication: Filter your RSS feeds and getting into troubles? Filter your RSS feeds and getting into troubles? My first address for RSS filtering was Yahoo Pipes! 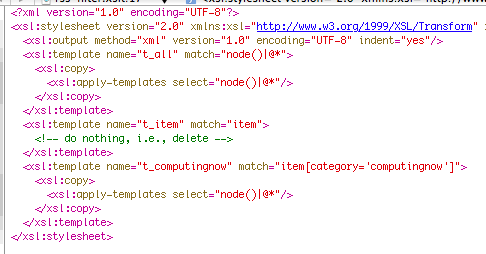 which allows one more than doing simple RSS filtering, it basically allows one to "re-wire the Web". For some reason, if I filter for blog posts associated to a certain category (e.g., computingnow) I always get zero items as shown in the figure below. Very strange as it works for other feeds but not this one. Changing the feed and/or blogging platform is not an option at the moment.